Product prices and availability are accurate as of 2019-04-18 23:02:09 EDT and are subject to change. Any price and availability information displayed on http://www.amazon.com/ at the time of purchase will apply to the purchase of this product. Elevate the heart and uplift the mind with a liberated black Arkon ventless bio ethanol fireplace. The modern arched fireplace with two glass supports gives perception of floating fire. Its sophisticated yet elegant, with all the benefits of a bio ethanol fireplace has to offer. Perfect present for anyone as it is ventless, clean burning and no installation required. The Arkon ventless fireplace is light weight and can be used outdoors and indoor. This Fireplace offers flexibility of adjusting the flame and is built with industries thickest steel of 3mm. 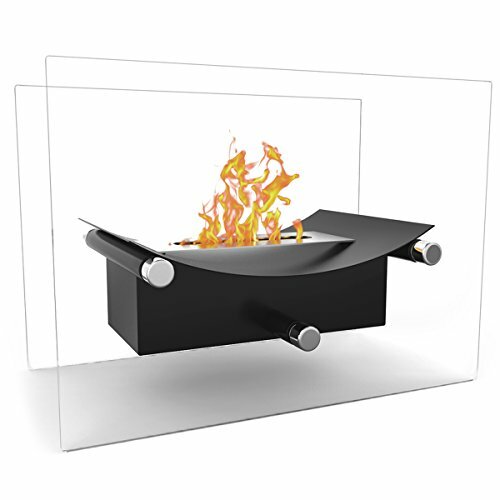 The included ethanol burner provide extreme ease of adoption to any environment where a fireplace is desired. 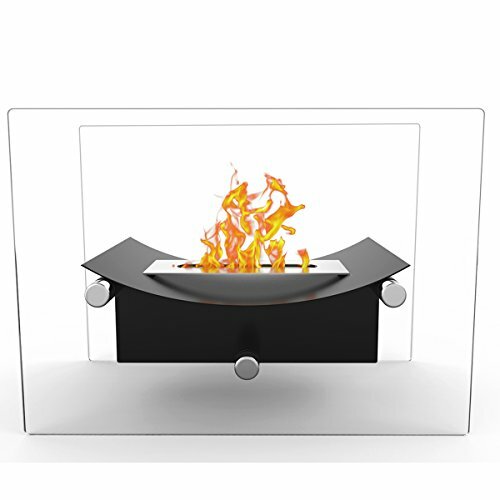 With the ethanol fireplace, you have no more need to haul wood, run electric or gas lines. Recommended to be used only with Regal Fuel ethanol fireplace fuel which is smokeless, soot free, and odorless. 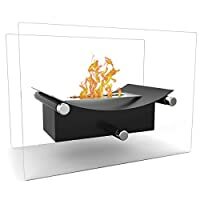 In addition, you may use this fireplace outdoor as a fire pit or convert Gas Logs, Wood Log, Electric Log, Electric Fireplace Insert or Wood Burning Fireplace Insert to ethanol has never been easier. This fireplace is eco-friendly, and ventless that burns ethanol fireplace fuel.